Because of a childhood illness I grew up with many physical challenges and constant pain which has helped me appreciate being healthy. I believe the body has an incredible ability to adapt to constant external changes and remain healthy. Stresses however can lead to changes in the spine and contribute to declining health. I strive to educate my patients regarding the causes, effects, and prevention of these stresses and how chiropractic can help. I welcome families, professional sports teams and athletes of all kinds. At Balance Chiropractic in Mesa we want to help people live up to their full potential and enjoy life. Chiropractic can be the natural solution to headaches or back pain that can help you avoid drugs or surgery. 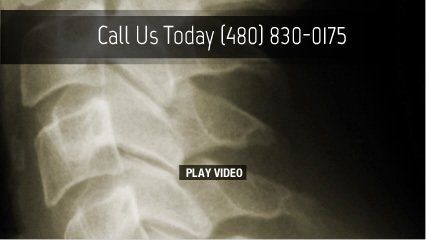 Take the first step towards relief by calling our Mesa chiropractic office today. Countless other Mesa-area residents already have! Sam Hallows, DC has been awarded as a top Chiropractic practice with some of Mesa's best Chiropractors. 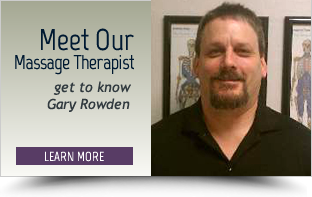 Love how Dr. Robinson takes time to explain benefits of his treatment during the treatment…everything was calming, the treatment, his tone of voice, he wasn’t in a hurry! I was very pleased and feel wonderful after my adjustment. Thanks to Dr. Sam. I only started but I am very confident that this is going to work. You have helped Carl tremendously and he is almost back to normal. Thank you. Dr. Hallows was very thorough. He addressed all of my concerns and needs. I will definitely come again! Very happy with my experience, extremely comfortable with the visit. I like the prompt attention and results to my issues regarding why I came in to see Dr. Sam in the first place; he addressed my issues immediately. Dr. Robinson was awesome very caring,and seemed to want to help me with my problem. I believe I am off to a great start with a knowledgeable practitioner who actually helped me on my first visit! Very positive experience. I’m looking forward to my next appointment. Dr. Sam is very personable and explains exactly what he is going to do and why. Enjoyed my visit and will be back. Best experience I have had in years with chiropractics. Was made to feel extremely comfortable and looking forward to my next appointment. Thank you for doing such a thorough analysis and first treatment. I wish I had more time in the US to continue treatments. I will be back next winter for sure! Dr. Hallows is great! I saw him forming a rapport w/ my son before even touching him. And he was very quiet and gentle. Dr. Jeff is very knowledgeable, and Kind. Staff are very courteous, very friendly, very accommodating. I’m happy and pleased on my first visit. Will surely recommend to family and friends. It was amazing, super helpful, great conversation, learned a lot, feel better already! Been looking to find a doctor that works the whole body muscle, nerves, adjustment. Finally found him. Thank you Dr. Hallows and staff. Sam was amazing! He took the time to listen to my concerns and explain everything very thoroughly. Thorough adjustment. Never in all the years of adjustments had any chiropractor spend that much time with me. Thank you. I found Dr. Hallows to be extremely compassionate, intuitive and knowledgeable. After my initial session I experienced an incredible sense of well being, a deep inner calmness. Great experience. Spent an hour with me. Really helped with my problems. 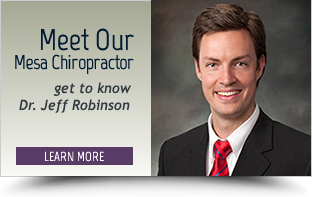 Dr Robinson was very professional, knowledgable and helpful. Visit was enjoyable and I look forward to future visits! Best chiropractor I have been to in years! Looking forward to our new relationship!